Here at Windows and Doors UK, we are expert wood window manufacturers and suppliers. We know how to best maintain wooden windows! Have you recently invested in wooden windows? Or would you like to maintain windows that you already have installed? When you invest in wood windows for your home you want to keep them maintained as well as possible. After all, wooden windows are expensive and often take years to save up for. Hardwood windows that are well cared for can also add significant value to a home. So, if youâ€™d like to know how best to care for your wooden windows, read on. Recognise the time of year most maintenance will be required. Make sure you do a thorough check on your windows annually. Hardwood windows maintenance is fairly straightforward, however, protecting wooden window frames can often be a task that gets overlooked as a result of focusing on other elements of your property. The most efficient way of making sure you do a thorough inspection on your windows is by nominating a month in the year when you will carry out a good check on your windows..
You may find that simple things, such as cleaning the windows, oiling any stiff hinges and checking around the frames is sufficient. However, you may need to ask a professional to come in and look at any more concerning issues. Windows and Doors recommended you inspect your windows before winter to prepare for harsher weather conditions. August/September time is ideal. In terms of how to protect wooden window frames, you are best to treat them as required. While wood looks amazing, it can be threatened by insects and weathering element. Therefore, it is suggested that it is treated for optimum preservation with a wood preservative for window frames. Treating wood window frames with Chromated Copper Arsenate (CCA) is a great way of protecting wooden window frames. 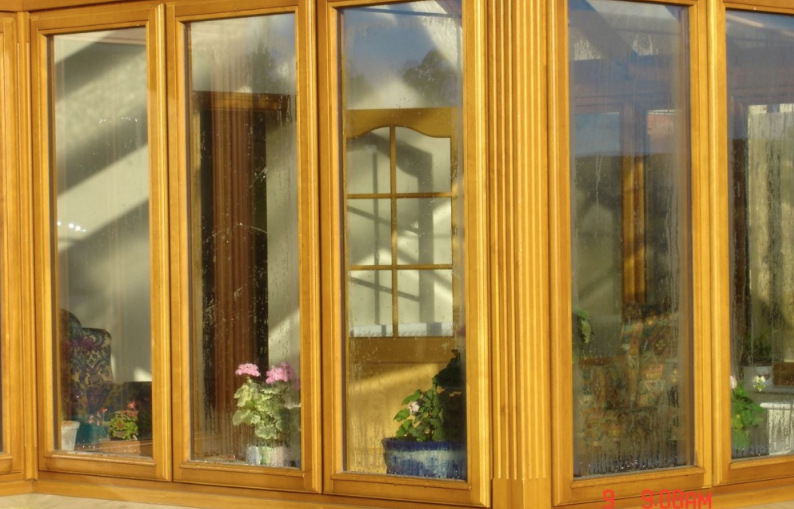 Please speak to us at Windows and Doors UK if we can help you select a suitable wooden window preservative. A varnish or stain is another way of protecting your wooden window frames as it stops weathering elements getting to the wood immediately. A wood stain is probably less effective than varnish for its ability to prevent rot and weathering but it does help lengthen the life of wood window frames. A wood stain is absorbed into the wood and is in line with the colour of the wood youâ€™re painting on, while varnish is a clear and transparent sheen. For the best wood stain for windows, why not see if we can help at Windows and Doors UK?